Girl Missing is the new revised version of Tess Gerritsen’s novel, Peggy Sue Got Murdered. I listed to the audio version of this book. In a brief interview with Tess herself, she describes this book as her bridge novel from romantic suspense to thriller. 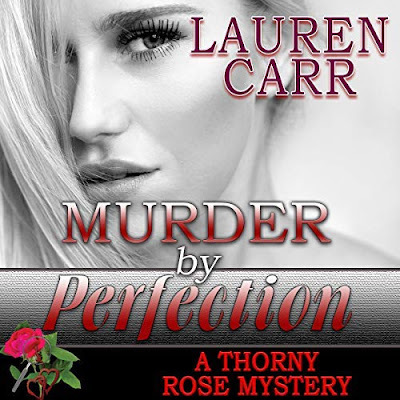 Medical examiner Kate Novak works down in the morgue of a Boston hospital. Kate’s world is about to get turned upside down when the drugged out body of Jane Doe is rolled into her morgue. The only thing that the Jane Doe has to help Kate maybe identify her is a matchbook with a phone number in it. Kate calls the phone number and leaves a message. Later an Adam Quantrel from a pharmaceutical company shows up at the morgue. He doesn’t recognize Jane Doe but Kate has a feeling that there is more to Adam than he is letting on. As more bodies show up, Kate will have to with Adam’s help figure out what is killing people before it is too late. 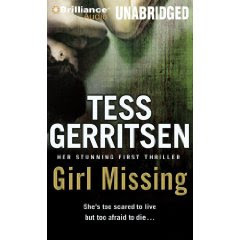 Girl Missing is the first romantic suspense thriller I have read by Tess Gerritsen. I have to say that I am more favorable to her darker, gruesome thrillers. Not to say that this book wasn’t bad but I just kept waiting for more intensity in the characters and story line and never got satisfied. I did liked Kate’s determination and drive to discover the truth no matter how risky the situation got. The story line seemed some what predicable. Also, I didn’t really feel the relationship between Kate and Adam. This book was read by Susan Erickson, which I felt she did a good job of trying to bring this book to life. Overall, I think I will stick to Tess Gerritsen’s thrillers. I love Tess Gerritsen, too, but...romantic suspense? Bleck! I'll probably read this one sometime if I see it in the library but I won't be buying it or downloading it any time soon! Thanks for your honesty and your well-written review!